When we stayed in Zuzuni Boutique Hotel, we heard from the staff that the management will be opening another property. Zuzuni is perfectly situated along the main beach and the new one will be in a different location. This time, to provide a more serene surrounding sans the crowd and beach parties, it will be away from the White Beach. 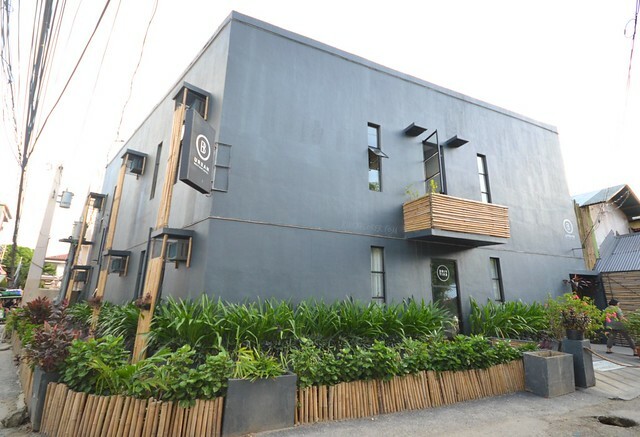 After more than a year, Urban Boutique Hotel in Bulabog area is finally open. The stressful transfers from Caticlan Airport, unorganized Caticlan Jetty Port, to the congested roads on the island was relieved by a refreshing calamansi juice for welcome drinks. I was greeted by the hotel staff who allowed me to fill in their check-in form. After verifying the reservation, another staff accompanied me to my room. It was a breeze that I asked if I can bring the refreshing glass of calamansi juice to my room. The hotel only has two floors and 14 rooms. You can go to your room from the lobby in no time. At first, I thought I was the only one at the hotel but during breakfast time, I was stunned by the fully-occupied restaurant. Hotel room doors utilize the traditional way of using metal keys, no keycards. 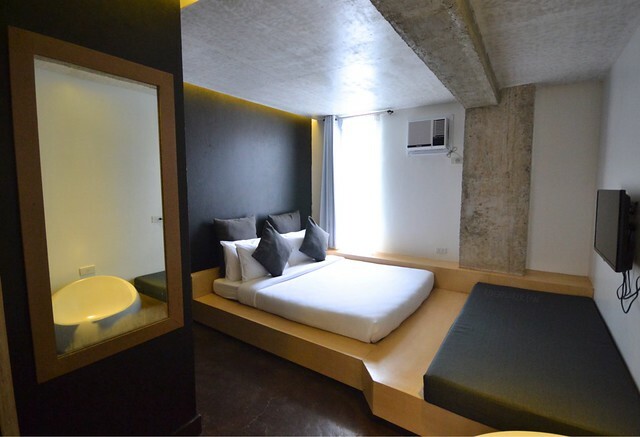 Urban Boutique Hotel wants to employ a minimalist impression on their rooms ensuring minimal interiors but still providing quality accommodation for guests. To counter Zuzuni rooms, rooms here are larger and can house groups of 3-4 people. Bed configurations can be a combination of twin or queen beds. Massive pillows and the cute little ones contrast the clean sheets. Same with Zuzuni, generosity of the management on the pillows is very evident. They really wanted their guests to have a comfortable sleep during their stay. 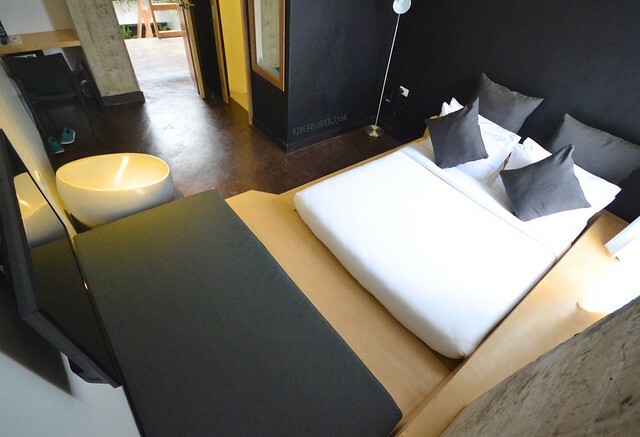 Beds are elevated from the room flooring on a wooden platform, not your typical bedframe. Urban Boutique Hotel standard room. Minimalism is very obvious. No refrigerator, no telephone, and no power outlets near the working desk. But for hotel guests’ convenience, a flat screen television is mounted on the wall. Air-conditioning unit cools the room and few cabinets for stuff not to clutter the spotless room. Few light sources and a floor lampshade brighten the room. 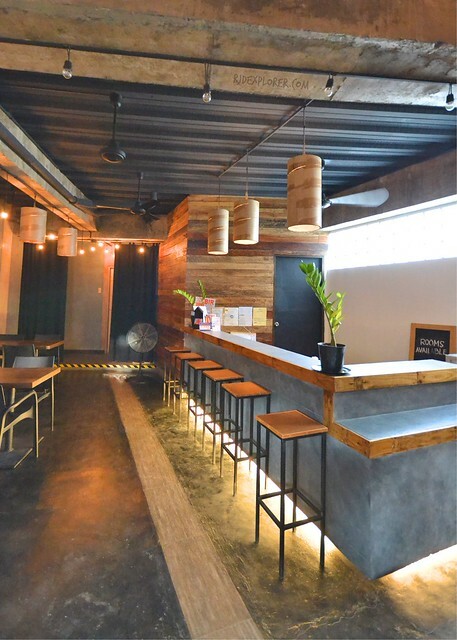 Apart from the minimalist concept of the hotel, an industrial design exposed the interplay of materials used like wooden platforms, concrete walls, and metal ceiling. The combination of the two concepts provides an uncluttered layout that equates to bigger space to move. Premier room good for four. 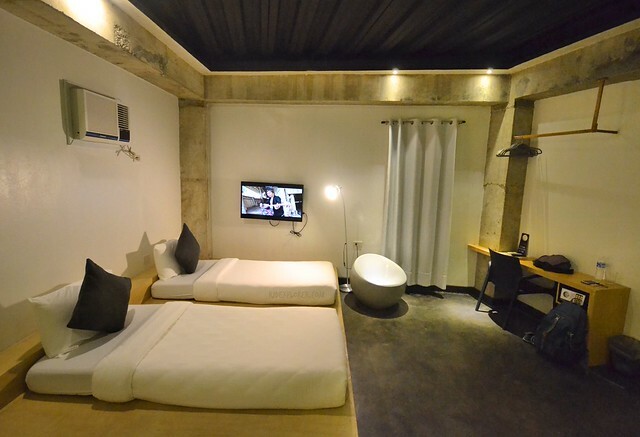 Urban Boutique Hotel has two room types; standard and premier. The whole second floor has standard rooms while few premier types on the ground level. The largest room, where I stayed, has four beds; two twin beds and a double bed. Perfect respite for groups visiting Boracay. 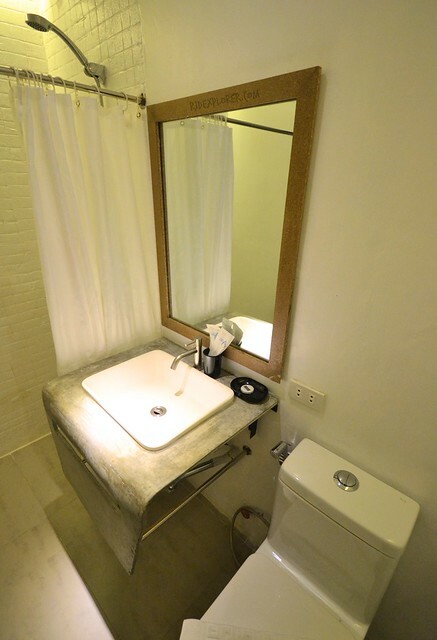 For the bathroom, major elements like toilet, sink, and shower are of course available. Fresh towels are provided as well as basic shower amenities like shower gel, shampoo, dental kit, and vanity kit. The room can accommodate four people but the dental kits were only two. I believe you can request for additional dental kits and other toiletries. For breakfast, the open kitchen starts to serve plated breakfast from 7 AM to 10 AM. I really liked the Chicken Tapa I had at Zuzuni and I was surprised when I found out that they offer the same set of options. Guests can pick from the luscious selections of Filipino breakfast, pancakes, house bread, omelet, and fresh fruit platter. My favorite Chicken Tapa for breakfast! 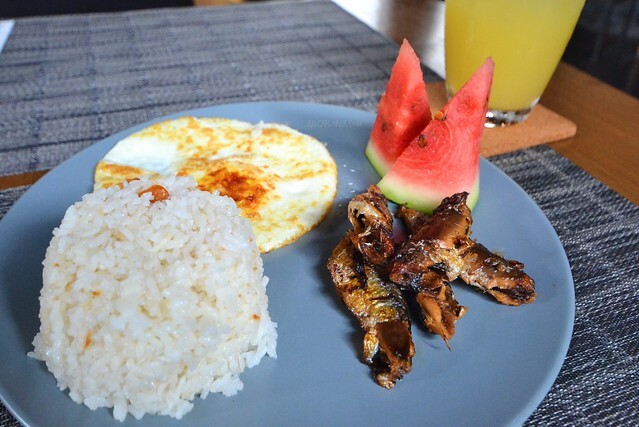 On my two mornings, Filipino breakfast with varieties of beef or chicken tapa, pork tocino, and Spanish sardines served as my meal. I availed my favorite tender and juicy chicken tapa on the first day and Spanish sardines which were really flavorful with a kick of chilis, on my last day. 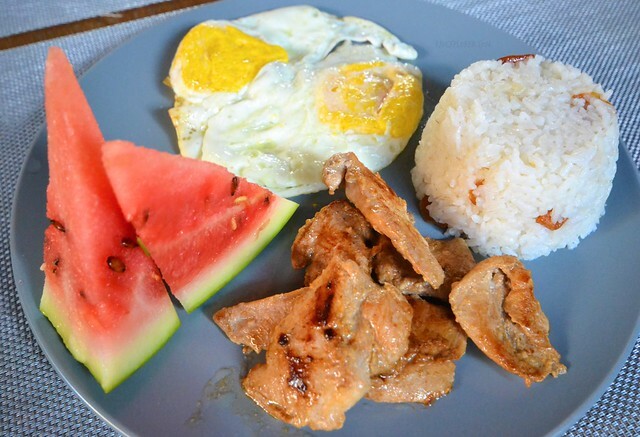 Rice meals are served with two eggs cooked on your preference, fruits, and coffee, tea, or juice. The goal to provide a better experience in terms of the untroubled environment was accomplished by Urban Boutique Hotel. No audio systems playing bombarding music, and no noisy crowd interrupting guests nap time. In terms of accessibility, D’Mall and White Beach are 5 to 10-minute walk but you can easily coordinate with the crew if you need e-vehicles to shuttle you to your destination. 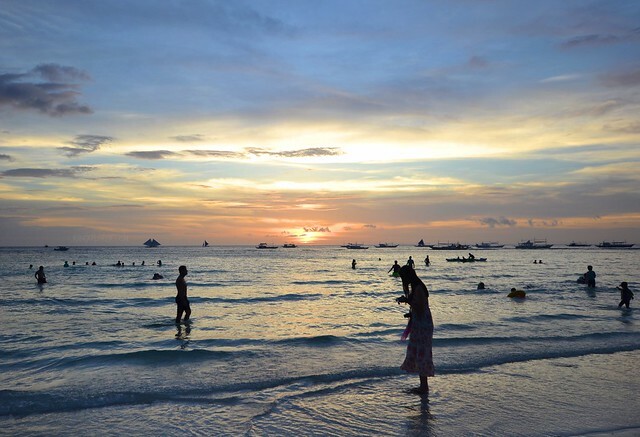 Boracay sunset that everyone yearns for. Since it was my sixth time in Boracay, I stayed most of the time inside the comforts of my room and only went out to avail budget lunch and dinner. In terms of dining, there are a handful of options near Urban Boutique Hotel and few sari-sari stores for quick snacks are just within the neighborhood. 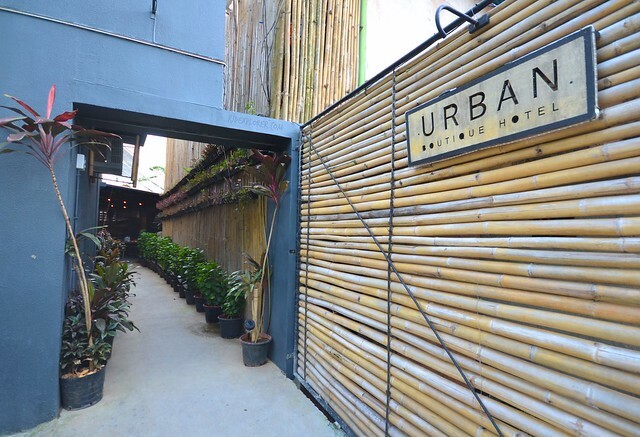 If you’re a type of traveler who prefers tranquil surroundings over hyped activities of a destination, Urban Boutique Hotel is definitely an option that shouldn’t be missed. Disclosure: Urban Boutique Hotel invited the blogger for a 2-night stay to try and review their facilities. I write the article with my biases, opinions, and own experiences. All written here are my own and not influenced by the brand.